The history of Gran Canaria is on display in an extensive network of museums where the thousand ingredients that made the island a conclave of different cultures are all mixed together. Pre-hispanic mummies, ancient ships and contemporary art. Great writers, painters and musicians. Architecture, indigenous ceramics, sculpture and an ocean of history. 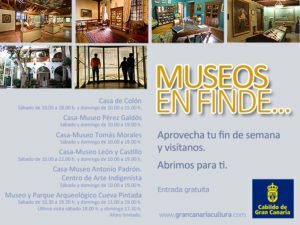 The Island Government Cabildo de Gran Canaria’s network of museums open their doors every first weekend of the month for FREE visits. 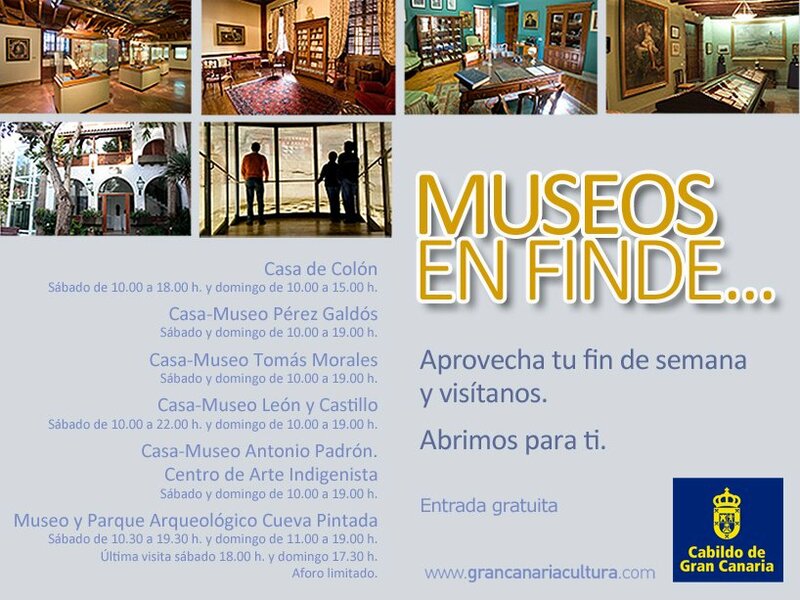 Casa-Museo León y Castillo in Telde : Saturday and Sunday 10:00-18:00. Museo y Parque Arqueológico Cueva Pintada in Gáldar : Saturday 10:00-18:00 and Sunday 11:00-18:00, last visit 16:30, limited spaces.